The decline in my health, low energy levels and slight increase in weight were all issues I associated with university-induced stress, not something related to my thyroid, much less Hypothyroidism. How does one even contain a written piece about something that slowly infiltrates your entire life, creeping into every little nook and cranny over a period of years? This, I think, is going to be a hard one to write and keep concise, because just like the effect that is left on my body, Hypothyroidism or Hashimoto’s Disease is erratic at best. I will try my best to give some chronological order or at least, symptomatically categorical order. About three years ago, which happened to be my third year of University, I started to get really ill. Colds would turn into nasty chest infections and they were recurring at rapid speed. I had pleurisy in the interim and I even got mumps (although that was just a very freak spate that happened to travel around my shared house). This was when I began noticing a difference in my health and well-being. Becoming tired very easily, was starting to be the norm for me and in turn, I found it quite hard to want to leave the house. I noticed that I would get pains in my joints and that my arms and legs constantly felt heavy. I guess I started to put on a bit of weight too, but equated that to my general tiredness. Additionally, anyone who has written a thesis or dissertation knows the toll it can take on your body, mind and social life –I became a total hermit. Despite not being the sporty or athletic-type person, I still have always walked everywhere I go. Driving, by the way, is a very foreign concept to me, since I’ve never ever driven a car. 45 minutes a day, most days, are spent outside walking and enjoying the exercise. I had been at a steady and healthy BMI weight, for a good few years, during this period, with the obvious feminine fluctuations that can occur. The decline in my health, low energy levels and slight increase in weight were all issues I associated with university-induced stress, not something related to my thyroid, much less Hypothyroidism. My usually very fast working and reliable brain, started to fail me more regularly. Now, as a bit of a party girl, who lived in a shared house with 8 other party people, that fact didn’t worry me too much. I did, however, have to start putting actual effort into my university studies, which was something I had never had to do before. This was a tiny bit worrisome, I have to admit. Actually, it came as quite a shock to me, but was once again, something I could blame on an increased work load and course intensity. My grades declined slightly and my memory let me down at times, but there was always an excuse for my body’s’ unstable behaviour. Crazy university schedule, too much partying, university stress and my general lack of understanding of how to independently get around London. (I still struggle after 6 years here) made it easy to blame my symptoms on other more obvious, occurrences in my life. From the extensive research I have carried out, I can see that often this disease can go unnoticed because there is such a mishmash of symptoms that may rear their heads, at random times. I have also discovered, along with many other things that doctors sometimes don’t know, that many sufferers are deemed as being dramatic or suffering from bouts of hypochondria, which is why many go undiagnosed for long periods of time. There were definitely many moments I wondered whether I was suffering from hypochondria myself, when my symptoms first started to flare up. Third year of university went by and my health declined further, although if it weren’t for the constant stream of infections and antibiotics that I was given (at least once a month), I don’t think anyone, including myself would have paid much attention, as Hypothyroidism is a very gradual and subtle process. Next, I entered the Masters program, at the same University, in the same Anthropology department: 1) I knew like the back of my hand and 2) knew how to easily get excellent grades in. My first term flew by and I only had a few illnesses. Still the constant, impending feeling of exhaustion was there, at all times. I did well, though and entered the new year of 2012, in reasonably good health. In retrospect, over those next few months, I can see that my health slipped considerably. More than I can even imagine, now. In February, I had my first bout of blood poisoning and Cellulitis. Caused by a bruise, that turned into an abscess on my leg, isn’t something you should see in a 22 year old, I’ve since learned. I took my antibiotics and painkillers that the very busy hospital had issued, not realising that this was potentially life threatening and I should probably have been in the hospital on an intravenous drip, right along side the other patients there. Everything happened rather rapidly after that. Not to mention that my weight started to quietly and gradually creep up, which was slightly annoying and a little concerning. This was despite my efforts of running around and doing more, more than I had ever done in my part-time job as a nanny, all while attending the gym three times a week. My grades started to slip, another thing I was unaccustomed to, as I could no longer trust my notoriously good memory. Then the infamous and dreaded brain fog started. For anyone that is unaware of this symptom, for me this is the worst symptom of hypothyroidism. I would describe it as after a big night out with your friends, when you have around two hours sleep and the next day you try so hard to kick your brain into gear to concentrate on what is happening around you, focus on the conversation or even remember your own friend’s names. That can be hilarious when it happens every so often when perhaps you should have been a little kinder to yourself on a night out, but to someone who prides themselves on their quick wit and fast thinking, it’s an absolute killer. My poor brain and memory were giving up on me. I had gone to the Doctor many times through my Master’s year, obviously trying to piece together all the strange little things that were happening to me and also, to get an explanation for why a healthy 22 year old was getting colds, infections, tonsillitis etc. so frequently. I was turned away on 5 different occasions, with the explanation of: it was just a viral thing I was probably catching from the kids I cared for. I eventually insisted on a blood test, which came up with an Iron deficiency. Rather indifferently, I was told to go to Boots Drugstore and get some Iron tablets and that everything should get better after that. 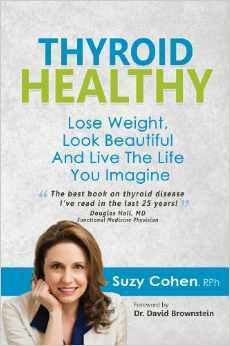 Like many thyroid patients out there, I was failed by my Doctors and the health service. Although, I’m not angry or bitter about it. Hypothryoidism, I’ve learned, isn’t an easy diesease to diagnose. I had not yet realised that Hypothyroidism ran in the family and was hereditary. But, after that point, the accumulation of symptoms were insanely out of control. That was definitely the hardest year of my life. However, I was left with no confidence in my ability to get a job, once I had finished University and received the very, ‘less than exciting’, results. My Master’s program grades were pretty average for someone who happened to be a high achiever and I was more than disappointed. This sent me into a spiral of depression and self-doubt. All those years, I had been told that I had a special, insightful and analytical mind, a talent for writing, outstanding people skills and a personality that would help me along my way into working life with ease. However, I was left with no confidence in my ability to get a job, once I had finished University and received the very, ‘less than exciting’, results. Together with not being able to remember things that had happened two days earlier, conversations with my family or best friends went by the wayside, concentration levels so low that I could hardly make it through a paragraph of my favourite book, absolutely no energy and receiving a rather average degree result (which at the time mattered to me, I understand now that I actually did very well considering my circumstances), pushed me further into denial. That year, I was a true-to-life loner. I couldn’t and didn’t want to hang out with my friends, because I was so unhappy and I wasn’t my normal witty self. Unfortunately for me and for them, I had no explanation as to why this was happening, so it was easier to pretend that they weren’t there, than to have to admit that something was wrong. Vaguely, I think I knew that I wasn’t OK and that things were skimming past the point of no return, but I couldn’t focus my brain long enough to care or to do anything about it. Unbearable and extremely dry skin plagued me by this point, especially my head. It was so itchy and dry all the time, that I was almost, always obsessively scratching it. This was a new world to me. One I didn’t care for. I’d never had dry skin in my entire life. Not only that, but my once high self-esteem for myself, for the first time in my life, became very low as I was constantly doubting my own mind and abilities. That coupled with gaining around 30 pounds, for no apparent reason, it’s safe to say, made me feel completely out of control of both my body and my brains. Vaguely, I think I knew that I wasn’t OK and that things were skimming past the point of no return, but I couldn’t focus my brain long enough to care or to do anything about it. A very scary feeling, indeed. Thank goodness I lived with my best friend during this low point in my life. She was very supportive about everything. She could see my struggle and just went with it, at every twist and turn. My boyfriend was also a wonderful supporter and tried to help in any way he could. I spoke to my Mom a ton about my issues and once again, without her never-ending love, support and input, I wouldn’t be on this road to recovery. Upon visiting the Doctor, he couldn’t believe what he was seeing. He described my situation as ‘the kind of thing little old ladies come in with 4 times a week. Definitely not the kind of thing you witness in a fit and healthy 24 year old.’ He sent me for a lot of blood tests: kidney disease, liver disease, diabetes and hypothyroidism. That was a crazy, nervous three week period, waiting for the results! My boyfriend cried when we got the results because they were the best of a bad bunch. Not long before we got the results, I was sitting on my bed and had an epiphany. Because I had been having some bi-polar symptoms for a year, I remember a friend had told me when she was sectioned, that the first thing they do is check for hypothyroidism, as it can drastically unsettle your brain. When I got the diagnosis I was given the standard ‘Thyroxine’ NHS tablets and and told, whilst being given a leaflet, that my whole life was going to change and improve from the moment I took the pills. I was so elated over the next few weeks, believing that this magical tablet would eventually remedy all of the problems that had ailed me, that had slowly accumulated during the course of 3 years. I was soon to find out, that these tablets were definitely NOT the miracle cure that I hoped they would be. My struggles continued, for a further 5 months, just with a lot more spirit and hope this time. That is where I’m at now. After carrying out a huge amount of research, about a million blood tests, speaking to a lot of different Doctors and joining groups online, I am finally making some headway and beginning my journey to recovery. I have cut wheat, gluten, soy and dairy out of my diet and after 6 weeks, I am feeling a lot better. On Thursday, I had an appointment with a pretty clueless endocrinologist who just ended up sending me for more tests, which was a little deflating. Walking out, I felt like I knew less than I did going in to the appointment (and maybe that I knew or had learned more on the internet than this ‘specialist’). However, I am still at the early stages of my disease and I am staying positive. Questions or anything to ask about Hypothyroidism? We want your thoughts in the comments section–Please!